It was noted that apologies had been received from Councillors Perry and Webster. It was noted that Councillor Mrs Springett was substituting for Councillor Webster. Councillor Mrs Gooch was in attendance to give the Committee an update on Local Health Care. RESOLVED: That the minutes of the meeting held on 18 July 2017 be approved as a correct record and signed. The Performance and Business Information Officer presented a report on the KPI Performance Report Quarter 1 2017/18. � The recycling target had been achieved, along with the percentage of fly-tips cleared or assessed within 2 working days. � The Homelessness Team had prevented 133 people from becoming homeless. � The target for the number of affordable homes delivered had not been achieved in Quarter 1 which had been due to handover delays on site. � He shared the concerns about the lack of affordable homes being built but was confident that the target would be met by the end of the year. � A report would be brought to the Committee in December on a Review of the Temporary Accommodation Strategy which would set out the steps the Council intended to take to alleviate acute problems around temporary accommodation. 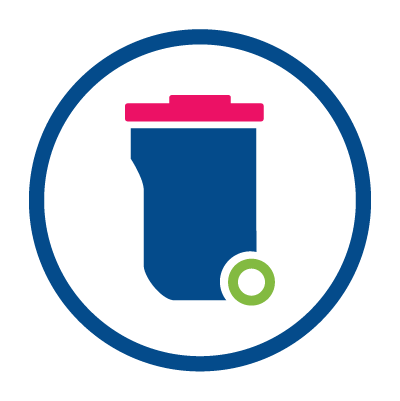 � The Council does receive recycling data from KCC but it needs to be audited before being presented to Committee and deadlines can be tight.� However, for Quarter 2 it is showing a positive trend. � An analysis of the cost of commercial waste versus the effects of fly tipping had been carried out. �However, the commercial waste service does need to recover all its costs.� Although the Waste Team would be working with KCC to establish a provision for commercial waste facilities. � A campaign would be introduced shortly, working alongside the Police, to stop any vehicle carrying waste to ascertain if they are a licenced waste carrier. RESOLVED:�� That the summary of performance for Quarter 1 of 2017/18 for Key Performance Indicators (KPIs) be noted. Councillor Mrs Gooch gave an update on Local Health Care, in particular the work being undertaken by the West Kent Health and Wellbeing Board. The Committee noted that the Council had an important role to play in trying to influence and support the way that local health was delivered. Councillor Mrs Gooch indicated that major changes were being looked at in the way local health was delivered and to achieve this Kent are currently planning to align with Medway. It was noted that the proposed transformation plans had a timescale of implementation between 4/5 years and a lot of work had already been undertaken on this by the different boards. During the discussion Members of the Committee felt that their concerns should be put in a letter to the West Kent Health and Wellbeing Board signed by the Chairman and Vice-Chairman of the Committee and presented by Councillor Mrs Gooch at their next meeting. RESOLVED:� That a letter expressing the concerns of the Committee be signed by the Chairman and Vice-Chairman and presented to the West Kent Health and Wellbeing Board by Councillor Mrs Gooch. The Committee considered the report of the Director of Finance and Business Improvement on the First Quarter Budget Monitoring 2017/18. It was noted that the forecast for the first quarter was for a �300,000 overspend.� However, the second quarter was showing a more positive picture. In response to Members concerns about any more budget cuts at the depot, the Director of Regeneration and Place advised that the team were looking at more commercial opportunities to help strengthen the budget. In response to a question from a Member the Head of Finance undertook to email Members separately on why there was a �31,000 variance for Food and Safety Section. RESOLVED:� That the revenue position at the end of the first quarter and the actions being taken or proposed to improve the position where significant variances have been identified be noted. The Committee considered the report of the Director of Regeneration and Place on the Future Enforcement Options � On-street Enforcement Team. Members were informed that following the decision taken in August to not extend the litter enforcement contract with Kingdom Security Officers had considered various options as a way forward which included retendering, establishing an in-house on-street enforcement team, letting a contract for on-street enforcement or working in partnership with a neighbouring authority to deliver an on-street enforcement team. Officers advised that the team would consist of 2 members of staff spending 70% of their time dealing with litter enforcement and 30% of their time with the other issues. � The operatives would not just be concentrating on the town centre, it would be borough wide. � That they would become the eyes and ears out on the street to feedback issues to the Police but not act as a replacement for the Police. � That the new team would be fully trained on all aspects of their duties. � That it would not be feasible for the Parking Enforcement team to carry out litter enforcement as part of their duties as they do not often confront people, they just issue the PCN fine by putting it on the vehicle. � The team would also have a uniform and wear body cameras. � There would still be a zero tolerance on litter. � A report would be brought back in six months to the Committee on the progress of this initiative.� It was hoped that the service would be operational by the new year (April at the latest). RESOLVED:�� That a new in-house On-street Enforcement Team be introduced for an 18 month period to carry out the enforcement of litter, other waste related crimes, anti-social behaviour and Public Space Protection Orders (PSPO). 6.30 p.m. to 8.05 p.m.